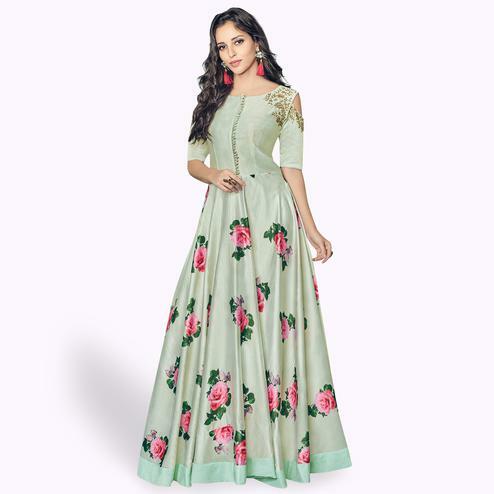 Be the sunshine of every person’s eyes dressed in this graceful green designer partywear gown. 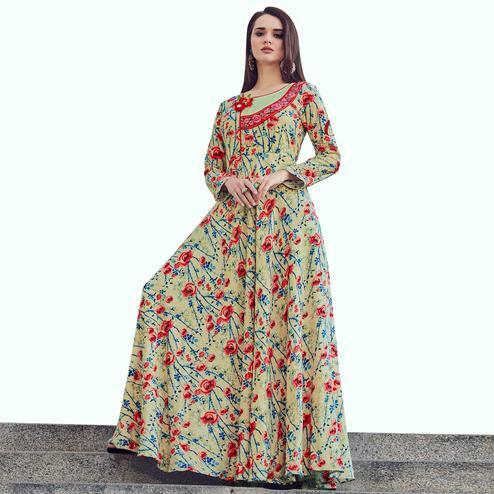 The stitched gown is made of pure muslin silk and satin silk that has beautiful prints and embroidery work done which is eye catching. Specially designed to wear for functions, family occasions, parties, high profile events where you want to be center of attraction. Pair it up with stylish accessories and heels to make your look more attractive. Get this gown now before it's gone out of stock.